3 Bedroom / 2 Bath / 1,685 sq. ft. Need a home to accommodate you and the children plus have a guest room? The substantial Magnolia is the home for you! Step inside to the formal living room then move to the heart of the home – the open living space of the warm kitchen, dining room and family room. 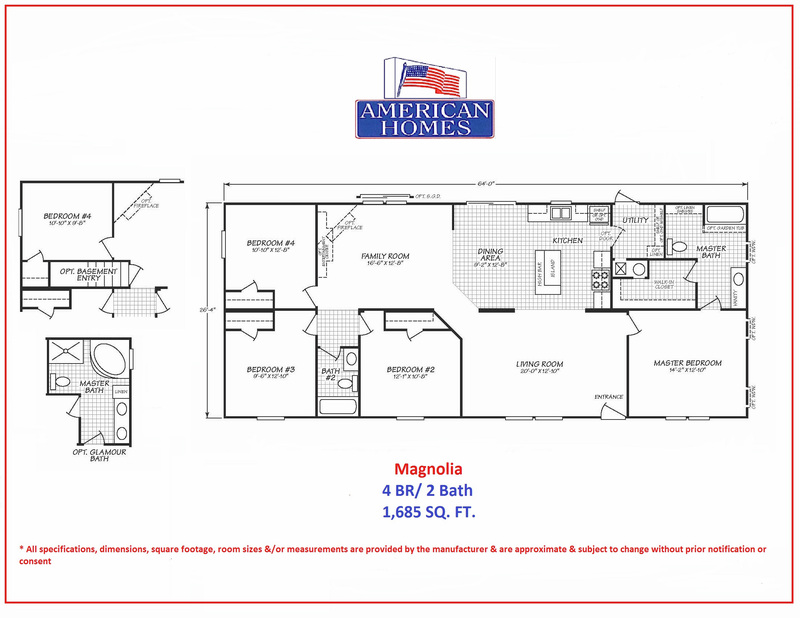 In addition to 3 regular bedrooms and bath, the 1685 square foot Magnolia has an incredible master bedroom and bath complete with walk in closet. The Magnolia has space for everyone!